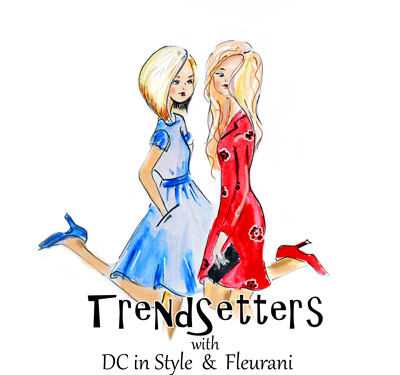 Follow DC in Style, Fleurani & our beautiful cohosts Lady of Style and Myriad Musings //put the link to the linkup in your post. 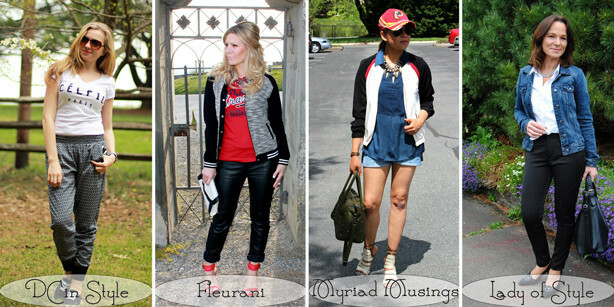 Make sure to meet amazing bloggers by checking their links and see how their styled the trend. 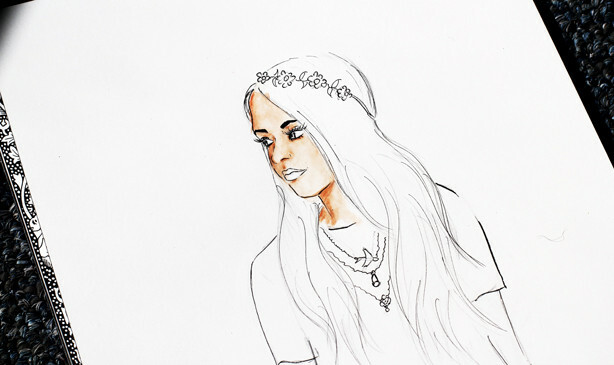 The guest with most clicked on link will get a custom fashion illustration!!! Do you remember our “Sheer” themed linkup? Here is the sketch inspired by beautiful Ariel, who’s link was the most clicked on last month. I kinda like the sketch on this stage, I think I should leave it like this-just ink and a little bit of shade on her face. What do you think guys? 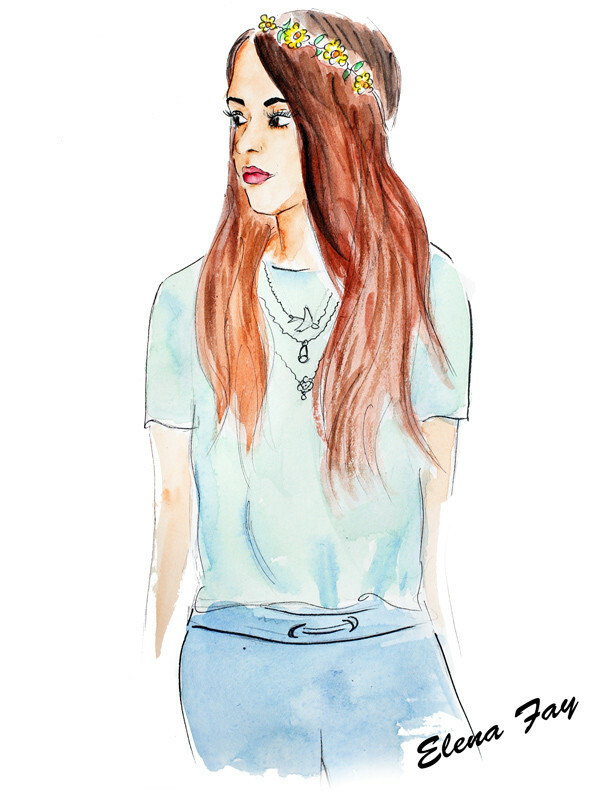 This entry was posted in illustration, style and tagged Monday Bloom linkup, sporty chic on May 5, 2014 by Elena Fay. Those pants are Tres Chic. You look Sporty-Cute. I am also wearing B+W today. I am feeling quite elegant in that Outfit – check it out. Love the sporty chic look and yours is such a relaxed and fun one. The celfie tee is adorable. You ladies are all rocking the sporty chic look…..love your pants Elena! Great examples of sport chic. I love them all. So cute! Love pants like those for the weekend or a casual event! 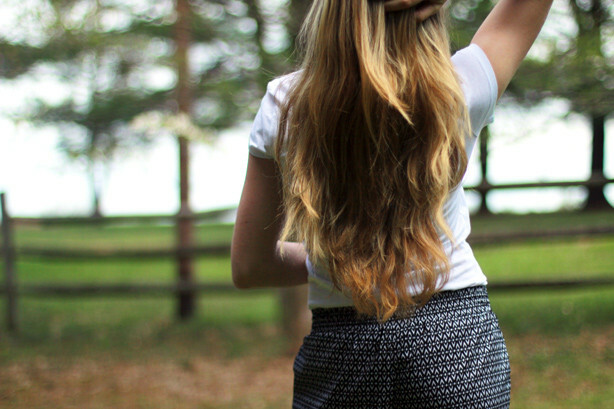 Such a relaxed and cute outfit! Love how you styled those pants! Such a great look! Those pants are so fun! Perfect weekend look and it looks like Ethan had a great birthday. OMG you look so so so chic, love this! Your sporty outfit looks so comfy, just right for a birthday weekend!!! I love that Celfie tee! So chic! I seriously love that first outfit! It’s super cute and comfortable looking! I really love your printed track-pants! A while ago I showed mine on the blog as well. They are so comfortable yet stylish, aren’t they? 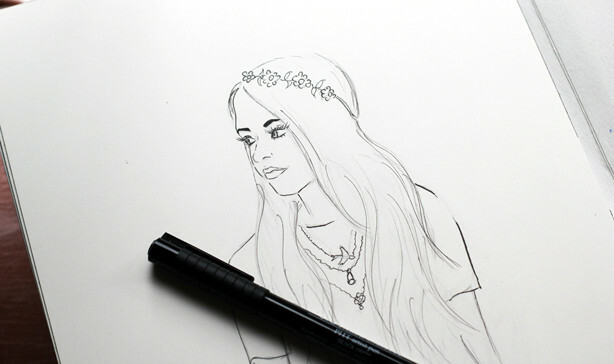 And I adore your illustration skills, really impressed by your drawings! Thank you for hosting the link-up with Ani and the invitation. great look! love the selfie tee! !